Well, I did it. 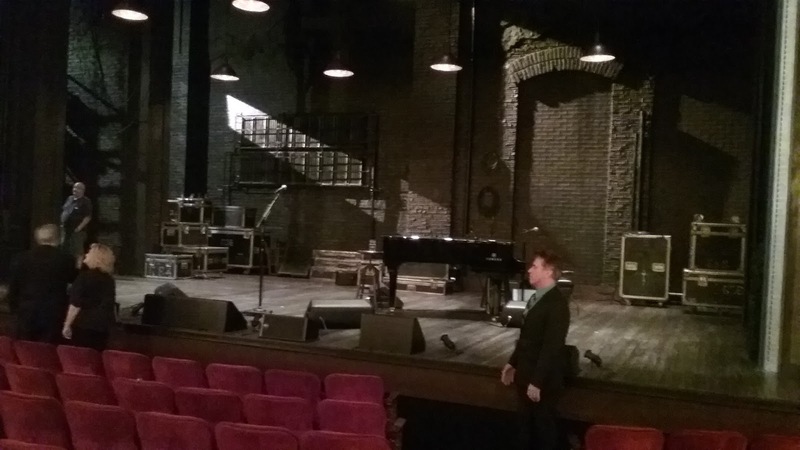 I was one of the lucky few selected in the lottery to attend Springsteen On Broadway, one of the hottest tickets in town. Honestly, I didn't tell many of my friends I was going in the weeks leading up to it, for fear of jinxing it. 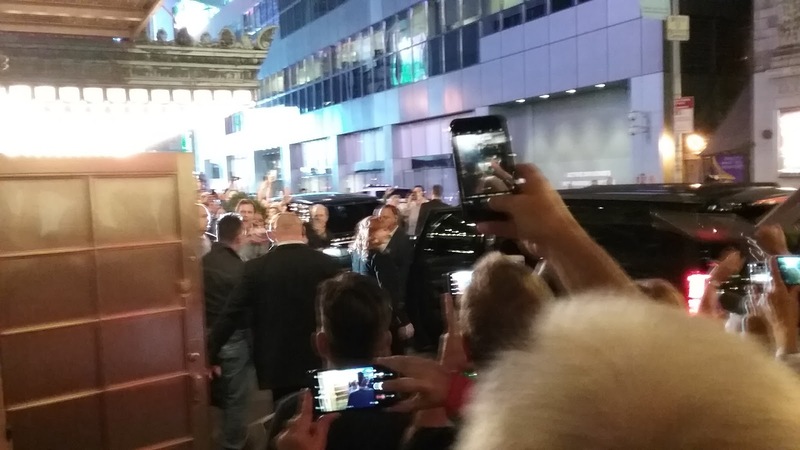 It was also the first time in my fandom that I felt nervous about seeing Springsteen, due to the exorbitant price of the tickets (I can only imagine how those who resorted to StubHub must have felt dropping well over $2,000) as well as seeing Springsteen in a completely new environment. Up until this point, the smallest venue I've seen Springsteen at is the PNC Arts Center, which has a capacity of 17,500. 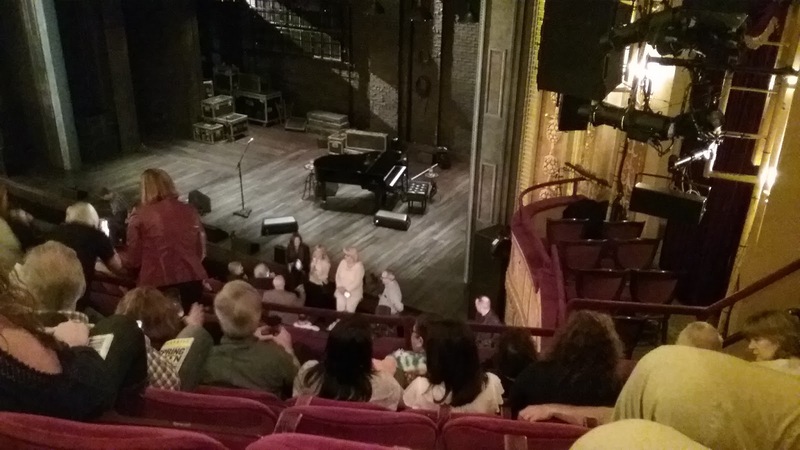 At the Walter Kerr Theater, Springsteen would be playing to a crowd roughly 1/20th the size of that. What would Springsteen do? It is Broadway, after all. Would it be a solo acoustic set? Would he treat it like a concert? Would there be huge dance numbers with a full ensemble? How would the audience react? Would they be shouting "BRUUUUUUCEEE"? Would little girls climb up on stage to sing "Waitin' On A Sunny Day"? Or, would I be surrounded by Rich Uncle Pennybags types - classy theater folk who are just there to be seen? Arriving about an hour early, I settled into the "cheap" seats and admired the view. Any concerns I had about the seating in the theater instantly vanished. As I could hear the conversations of people in the front row, it dawned on me that this would be the closest I've ever watched Bruce live (save for a brief moment where he popped up on a platform near me at Giants Stadium). And yes, this photo was technically "illegal", as the security guards asked everyone not to take photography in the theater. However, this rule was about as enforced as the jaywalking laws are in the nearby Times Square. Before the show started, I made sure to thoroughly empty my bladder, as I did not expect there to be an "Outlaw Pete" pee-break. During this time, I scoped out the merchandise. They had standard Springsteen event goods - t-shirts, hoodies, and posters all in the $40 range. I opted for the Springsteen tumbler you see above, which came when you ordered a beer/wine/cocktail. For $15, I justified it as $10 for the cup and $5 for the beer. But, after you spend as much as a flight to Los Angeles on a Broadway ticket, it basically seemed free. To answer the first question - what would Springsteen do? Well, Springsteen delivered a two-hour, 15-song acoustic set that was ostensibly his autobiography adapted for the stage. As in his four-hour concerts, Springsteen covered a wide array of topics - from family, to love, to politics, to the meaning of life, all underscored by the one unifying force that had brought this all to him: his music. 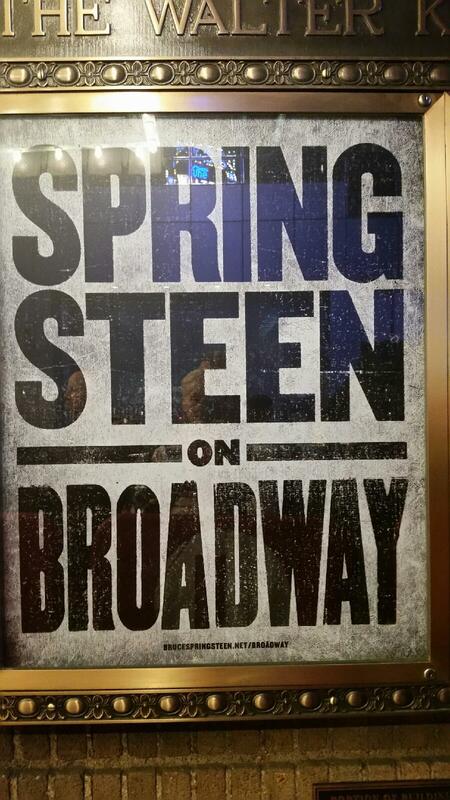 For those who love Springsteen's speeches during his concerts, this is the show for you. You'll hear stories that'll make you laugh, that'll depress you (wryly acknowledged by Springsteen), and that'll inspire you. While I won't go into the specifics of the setlist (I'm sure it is online by now), there is not a clunker in the bunch. The setlist has been excellently curated, perhaps the best sequential ordering I've seen at any Springsteen event. The songs compliment the stories, and bridge the gap from one subject to the next. You know certain hits will be played no matter where Springsteen shows up, but there were a couple of newer songs that were appreciated by this young(-ish) fan. To answer the second question - how would the audience react? While there was a couple of hobnobbers there, I'd say the fan lottery worked, as the place was filled with Bruce die-hards. I had to go by myself (I couldn't get two tickets to the same show), but I was surrounded by other single-concert goers, as well as friendly, excited fans that were just as curious as I was about what was going to transpire. The newness of the experience could be felt by all - it was Bruce's second night after all. The audience wasn't sure when to laugh, or sing-along, or dance in the aisles (I'm not sure if Bruce knew these answers either). But, overall, it was a fantastic energy and a fantastic crowd. I've seen it said that this is not a concert - it's a show, and I absolutely agree. While it is only about half the length of a normal Springsteen concert, it does not feel short. You may not be physically drained from standing and dancing, but it plays with your heart all night. I really don't need to tell you that you got to see this show - it feels like rubbing it in at this point. But, I will do my best below to help you feel the experience. The following photos are: the stage post concert, Springsteen and Patti leaving the theater, and the Playbill (you can click them all to embiggen). Thanks for reading! Yesterday, the music world lost yet another legend in the great Tom Petty. While Petty is known for working with tons of other musicians, like Stevie Nicks and the Traveling Wilburys, there is surprisingly very little crossover between Petty and Springsteen. However, I did find this photo and clip from a No Nukes benefit concert they did together in 1979 (but you can't really see Petty in the video). 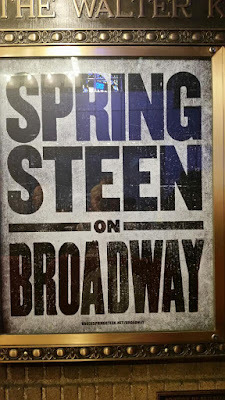 With Springsteen on Broadway debuting tonight, I believe it is safe to assume the performance will include some tribute to Tom Petty.